The Hub » Fathers Day: Summer Ride Essentials! 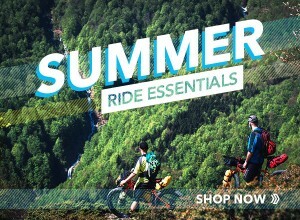 Fathers Day: Summer Ride Essentials! Treat your Dad... or his Bike! We have some amazing offers on our Top Brand ride essentials, and with our new VIP Reward points system you can start to build up your credit and treat yourself to something of that value when you want to cash in! VIP Reward Boost - Triple Points! Leisure Lakes Bikes are a proud family run business who have been running since 1981! Down to the close knit relationships of the four Noy brothers (founders of LLB), managers and staff each of the 10 stores has it's own personal influence and flavour to offer, boasting the top brands in the cycling industry.